DE.KOLECTI.F, one night festival dedicated to the German and French electronic music, where Paris and Berlin meet up in Bucharest. 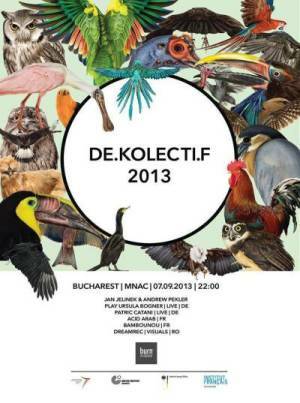 "DEKOLECTIF 2013" Festival in Bucharest. You can get here description, reviews, address, time and details of "DEKOLECTIF 2013" Festival in Bucharest. Visit Bucharest Tips for more Festival events in Bucharest!